Interested in working with us this summer and would like to meet or talk to someone who has worked with us before? Well, we want to help make that a reality. These ladies are people who attend your schools that are ready and willing to answer any questions you might have about our camps! Hello! My name is Mallory Hartline and I am a Food and Nutrition major at The University of Alabama (the best school in the nation!!!!). I have spent the past 8 summers at Crestridge (6 as a camper and 2 on staff). This past summer, I got to spend 8 weeks as a counselor with 10-year-olds in the Chickasaw Village. There is NOTHING like helping a child create a foundation in their relationship with Christ. Crestridge has brought me lifelong friends, crazy summer adventures and most importantly, Crestridge is where I asked Christ into my heart. My time at Crestridge has been the most rewarding and humbling of my life, and I am so thankful for the experiences I have had at CC4G!! If you have any questions, or just want to talk about having the best summer of your life, contact me. Hey friends! 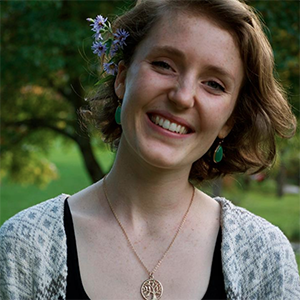 My name is Hannah Forsell and I am currently a Senior Elementary Education Major. 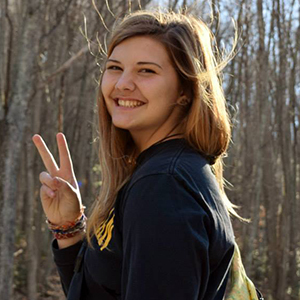 I am involved in RUF, Appalachian Educators, and She's the First and am always looking for new ways to serve - especially where kids are involved. Crestridge has been a part of my life for 14 years now and I cannot imagine a point in time when it will not be. Working for Crestridge is such a rewarding and unique experience in that it truly teaches you how to be a servant to those around you. While engaging in crazy games, endless laughter, and camp traditions you are given the opportunity to glorify Jesus and point girls to Him. Campers and staff alike will experience the truest of friendships grounded in Christ's love that will get you through trials and point you to the Lord. There is truly no greater experience than bearing witness to the Lord working in the campers' hearts and giving them a desire to love and follow Him. I could go on forever about all of the reasons that I am forever changed by the Lord's work at camp. If you love adventure, spending time with kids, and are looking for a job with eternal rewards then Camp Crestridge is the place for you! Sup people!! My name is Grace Valentine and I was lucky enough to have spent 10 summers at camp Crestridge. 7 as a camper, and 3 on staff. I was a JET for girls finishing 8th grade, and a counselor for girls finishing 9th grade. I was the village director in 2016 for the Choctaw girls, the girls finishing 8th grade. From mud pitt, to carnival, to midnight pool parties—I can honestly say I had a blast as both a camper and staffer. However, what I loved most was how you could see the joy from the Lord on your kids faces. If you have any questions about camp, I go to Baylor University and would love to talk or email about my experience and how you can serve children and adventure this summer. Contact Info grace_valentine@baylor.edu or text me at 985-789-8967! Hey there!! 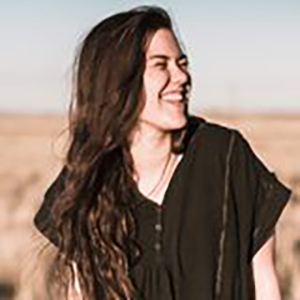 My name is Emmy Johnson and I am a sophomore majoring in professional writing here at Baylor! I am extremely fortunate to say that I've spent the last 10 summers at Camp Crestridge both as a camper as well as on staff. I was so blessed to have been able to work with girls going into 6th grade (otherwise known as the Creeks) this past summer! I loved being able to disciple them as well as just have a blast in the great outdoors! As a past camper, I can say that my summers spent in the mountains of North Carolina certainly made their mark regarding my walk with the Lord in a positive way. From the dance parties to the one-on-one talks with my counselors, as well as seeing the joy and community the college girls I looked up to so much shared inspired me to chase after God, and for that I am so grateful! I have experienced the perfect balance of both spiritual and outdoor adventure at Camp Crestridge and I hope you can as well! If you have any questions please feel free to contact me!! Hello! 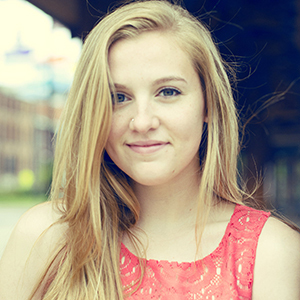 My name is Emily Tomlin, and I am a Senior at Carson-Newman University studying Biology (Pre-PA). Summer 2016 was my first time at Crestridge. I was a counselor in the Chickasaw village (upcoming 5th graders) and could not have asked for a better group of girls! My favorite memory from this past summer were the many flashlight dance parties we had in Cabin 9. I got to watch my girls grow in their relationship with the Lord as I was being poured into by the wonderful campers, other counselors, and staff at CC4G. 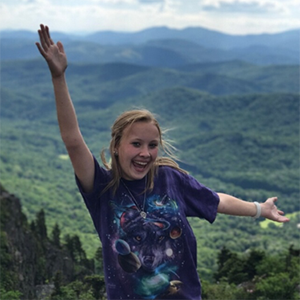 Camp is a place for girls to make lifelong memories with the obvious presence of the Lord in the most beautiful setting of the North Carolinian mountains. Hey y’all! I’m Kelly Carver, and I’m a graduate from Carson-Newman University. I experienced Camp Crestridge for the first time in the summer of 2015 and I can definitely say that it was the most life-giving, Spirit-led summer of my life! I was a counselor for middle-school aged girls and it amazed me that I learned more from these girl’s hearts than what I could ever offer them. I saw the Spirit move in them in the ways they grasped the Gospel and loved one another, and in their desire to tell others about Jesus. I was surrounded by incredible staff who encouraged me, prayed for me, and just lived life with me. That summer changed my life. Crestridge taught me that I am messy and broken, and that God uses these things to reveal his glory. I encourage you to apply and experience all that Camp Crestridge has to offer! Not to mention, it’s located in the beautiful mountains of North Carolina! I could talk about camp all day so feel free to contact me for more information! Hi! My name is Cara Mason. I am a Senior Nursing major at Carson-Newman University. While I never attended camp as a camper, I have spent two summers on staff. My first summer, I was a counselor with 6th graders and my second summer I was the Cooking director and worked with the older girls. Working at camp brought some of the best campers into my life and introduced me to some of my closest friends. I have loved being able to grow together in a community of God-fearing women whose goal is to share His love with young girls. My favorite memory from camp has been laughing with campers surrounding me in the cabin and seeing the pure joy on their faces as they build lasting friendships and understand the love Christ has for them. Crestridge is a place where girls can be themselves and leave feeling loved and appreciated, and I love getting to be a part of that. And what better way to do it than surrounded by the beauty of the North Carolina mountains? Hey! 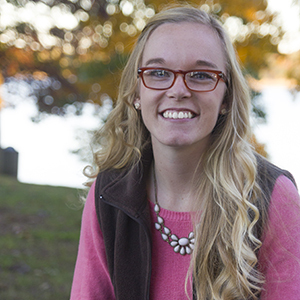 My name is Casey Cox, and I am a senior at Clemson University studying Recreational Therapy. I had the opportunity spend the past two summers working with the Chickasaw Village!! (they are the 4th grade age group). The campers are a huge part of the reason that I love camp so much!! Seeing how God can change the lives of these girls is incredible, and watching them have the time of their lives is such a fun experience. It is so great how we get to spread the love of God with these campers and form amazing relationships with them and other staffers. There is literally no better way to spend your summer. It’s crazy, and it’s fun, and you get to tell kids about Jesus! If you have any interest in working at camp, please email me. I would love to talk to you about it! 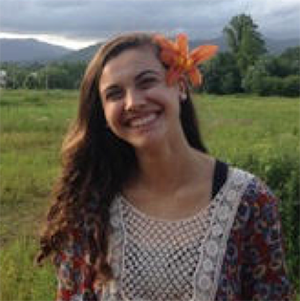 Hello :) My name is Isabella Arias and I am a senior math education major at Clemson University. I have worked at Camp Crestridge for the past two summers and LOVE the camp experience during college—it is such a great way to meet lifelong friends, serve Jesus as your “job” (how cool is that? 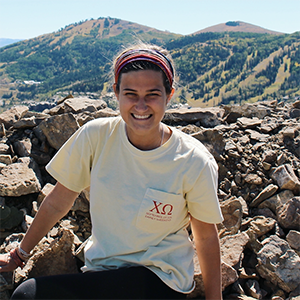 ), and make a lasting impact, all in a beautiful mountain setting. So if you are interested in the best summer of your life, please contact me by email. I would love to talk to you and answer any questions you might have! Hey Y'all! 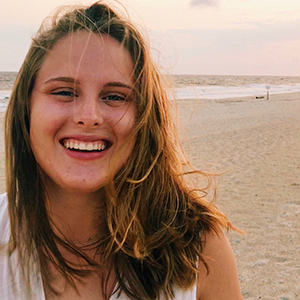 My name is Emma Scott Singletary and I am a Sophomore at Elon University studying strategic communications and communication design with a minor in adventure-based learning. I have been so blessed to spend 10 summers at Crestridge (8 as a camper, 1 as a SALT, and 1 as a JET). Crestridge has been a powerful influence on my faith and I have seen it change my friends and campers hearts. It was such a beautiful opportunity to watch the Lord work in my campers hearts and to be surrounded by the most outstanding community of staffers. Crestridge is a place that changes lives through the glory of the Gospel and the joyful community that fills its gates. If you are interested in knowing more please feel free to contact me, I would love to answer any of your questions! Hi everyone! 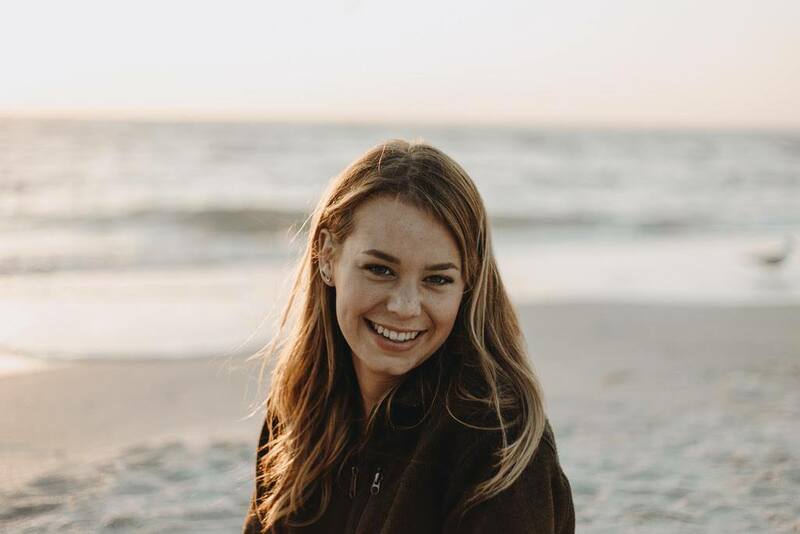 My name is Jessica Giles, and I'm a Senior journalism major at the University of Florida. This past summer was my 2nd year on staff at Camp Crestridge and easily one of the best summer of my life. I got to camp with the intention of changing lives, little did I know it would be my own. Encouraging and walking with my campers in their faith challenged me in my own relationship with Christ. I left camp with a renewed trust in his faithful promises and fire to live for Him. Crestridge left me with unshakeable joy for the Lord, and I still get thoughtful letters from my campers all the time! If you love the Lord, s'mores and kiddos, Crestridge will 100% steal your heart! Crestridge is such a special place to me!! It’s a safe place, a place of adventure, a place of growth, and it means so much to me because I experienced all of this as a camper and on staff. Here is where I first experienced God’s love on a personal level and where I first heard the gospel presented. It’s where I have found my closest community. Thinking back on my years at camp, I think what means the most to me is the depth of relationships that form. In just two weeks I have seen girls find their best friends, come to know and follow Jesus, and develop a closer personal relationship with God. Not only that, but they maintain these relationships over time. My absolute favorite part about camp over the years on staff has been getting to watch my campers grow up and remaining invested in their lives; this is discipleship! Camp is so purposeful in that we as staff get the opportunity to invest deeply while we’re there and be a consistent figure in these girls’ lives. That meant so much to me as a camper and it has always been one of my favorite aspects of camp as staff. Hey! 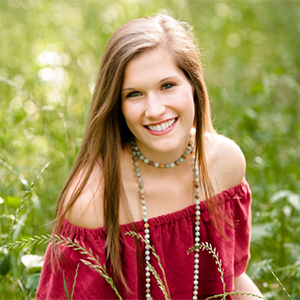 My name is Hannah Lonsway and I am a senior at the University of Florida studying Nursing! I spent my summer last as a counselor at Crestridge for Girls and it was awesome! I loved my summer spent in the beautiful mountains, the forever friendships I made and the sweet moments I got to experience while talking with my campers about our awesome Jesus! I was a counselor in the Choctaw village (girls going into 9th grade) and I fell in love with that age group! They’re fun, sassy, and at a great place in their lives to learn about the King who created them with a beautiful purpose. 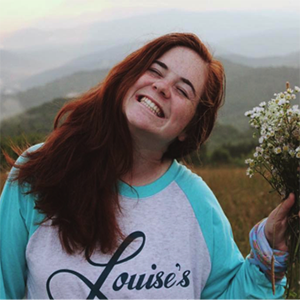 Having fun and laughter is probably one of my love languages and I couldn’t imagine a better place to spend your summer – hanging out in the mountains, growing closer to Jesus, and having SO much fun while you do it. If you want to let the Lord use you to impact others while having your life impacted, as well as some crazy fun adventures, Crestridge is the perfect place for you! Hey Everyone! 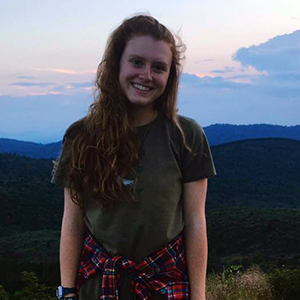 My name is Mary Massey and I’m currently a Senior at The University of Georgia majoring in Russian and Psychology. I have a heart for Russian orphans and I can’t wait to see where the Lord takes me in the future. For now, I’ve happily been spending my summers at camp. This place is truly a special one! The relationships you make here are one of a kind. I have had the blessing to spend 12 summers as a camper and five on staff. I have been a SALT, Jet, counselor, and last summer I was the Crafts Director (BEST job at camp)! Please feel free to contact me with any questions you may have, or if you just want to hear more about this life-changing place! Contact Info: mcm11795@uga.edu or on Facebook! Hey party peeps!! Maggie Holt here! I am a sophomore at the University of Georgia, and let me tell you, the only thing better than the Dawgs is Camp Crestridge! This place impacts lives for God’s glory, and it is the biggest joy to be a part of. As a camper, I was shown the gospel through the most Christ centered intentionality and in the most beautiful setting. As a staffer, I have experienced such personal and spiritual growth in an incredible community of believers. If you are a lover of all things Jesus, discipleship, adventure, mountains, and s’mores then you are at the right spot! I would so love to chat with you about camp, answer any questions you have, and tell you more about what makes this place such a life giving glimpse of eternity. Hey there! My name is Sarah Mackey, and I am a Senior this year at Lee. 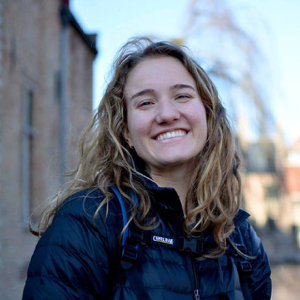 I am a TESOL major (Teaching English to Speakers of Other Languages) with a Communications minor, and I hope to enter the mission/humanitarianism field after graduating. Summer 2016 was my very first summer at Camp Crestridge. I was utterly amazed at the work that God was doing through the young women here on staff. Everyone at Crestridge works incredibly hard to best care for and educate these young campers about Jesus while still having loads of fun. Working with these young women to show the love of God to the campers was an experience that I will always look back upon with gratitude and love. I am excited to be returning next summer, and I would love to answer any questions about why Camp Crestridge is so incredible. Hey hey! 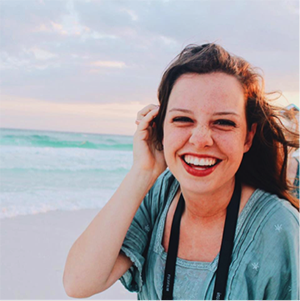 My name is Cari, I’m a senior at Liberty University, and my major is Teaching English as a Second Language and Global Studies. I’ve worked at camp for five summers, and I have been a counselor for the 12-14-year-old age groups. I’ve also worked in the Outdoor Adventure Program at the rockwall, which was my favorite job because I got to know campers of all ages! I started going to Crestridge when I was 13 and have never missed a summer! Camp has impacted my life immensely as a camper and on staff. I love stepping away from “real life” and reconnecting with my old friendships and meeting new people at camp. The mountains are such a great place to see the Lord and help show Him to young girls. 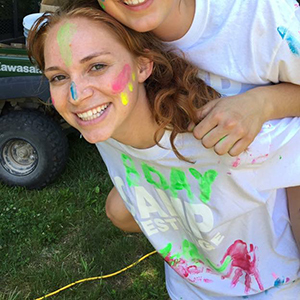 Working at camp is the best way I can think to spend a summer – it is a different kind of fun every day, and SO rewarding. I’ll take any excuse to talk about camp so please, please reach out to me if you want to chat about it! Feel free to text me, email or Facebook me! Hey! My name is Ansley Myers. I am a Sophomore at Ole Miss, and I am majoring in biomedical engineering. I was a camper at Crestridge for 10 years, I participated in the SALT program, and I was a JET this past summer. Camp Crestridge has been a very special place to me and family for many many years. I had the opportunity of working with 9-10 year olds (Chickasaws), and they are so much fun! Sharing the gospel with them is such a special opportunity to help them grow, and it helped me grow more in my faith than I ever have before. The relationships built among the staff are so sweet, and there are people I have met at camp that will forever be my closest friends. If you ave any questions feel free to contact me! Hey there! 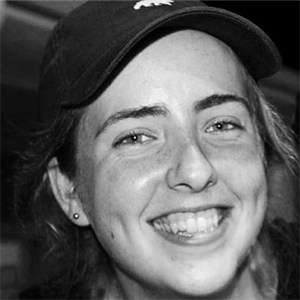 My name is Sara Milgrom and I go to the University of North Carolina at Chapel Hill. 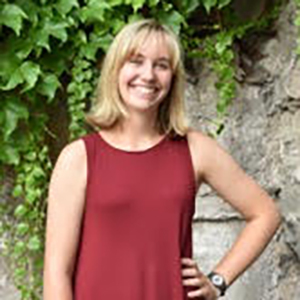 I am a Senior studying Exercise Sports Science in hopes of going to graduate school for Physical Therapy. I grew up going to Crestridge as a camper for 5 summers, and I was a counselor for rising 7th graders for two summers! I met Jesus at camp so it is a place that is near and dear to my heart. I love being a counselor because it is an awesome opportunity to have fun and go absolutely crazy while also getting the chance to teach young girls about the Lord. It is truly a unique experience and I wouldn’t want to spend my summers anywhere else. Please contact me if you want to learn more about become a part of the Crestridge family! Hey there! My name is Savannah Stroud and I am a student at Polk State College, finishing my AA this semester then planning on transferring to Southeastern University for Marketing in the spring! I was on staff at Camp Crestridge this past summer with the Cheyenne village, girls finishing 6th grade — typically 12 years old. This camp is such a beautiful picture of what heaven will be like. We get to spend a summer building relationships, climbing mountains, singing awfully loud, and doing all of this for the glory of our Lord! The way Crestridge does relationships is so unique, the staff here take time to genuinely invest into your life and this creates long-lasting and gospel-oriented relationships I will cherish forever. Also, along with singing awfully loud — we dance like there’s no tomorrow! If you don't have moves, get ready to learn some dance circle worthy ones. If you're curious about Camp Crestridge please don't hesitate to contact me — can’t wait to hear from you! Hello hello! My name is Chase Marshburn and I am a Junior English major at Samford University! This summer was my second summer on staff at Crestridge, and goodness, it was one of the best experiences of my life. Not much compares to doing life in the North Carolina mountains, living life to the crazy fullest, and celebrating Jesus in every aspect of life. I had the privilege of working on the Choctaw staff, which consists of rising ninth grade girls. Because I did not go to Crestridge growing up, getting to experience camp life with both my campers and my fellow staff day in and day out was one of the most rewarding, powerful experiences. Crestridge taught me so much about the Gospel, what it means to truly “bear one another’s’ burdens,” and to just be real and silly and fun with some of the best people I have ever met. Camp truly taught and grew me so much; I cannot imagine my life without it. Although I did not have the camp experience growing up I am so thankful that I have not gotten to experience it now. 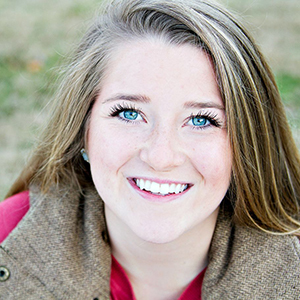 My name is Trina Leary, and I am a Elementary Ed major/ Nutrition minor here at Samford! I have spent seven summers at Crestridge- four as a camper and three on staff. This little camp in the mountains holds so much of my heart, and I can not imagine my summers without it. At Crestridge, I have found a community that walks and grows alongside me, pursues my heart, and challenges me to be the best version of myself. For the past two summers, I have worked with the Chippewa village (6-9 year olds). Each day my campers showed what childlike faith looks like and reminded of the sweet simplicity of The Gospel. Watching a six year olds eyes light up as they grasp The Gospel is the very best- those joyful little Chippewas have completely stolen my heart. You’ve only got so many summers, and I am a huge believer that working at Crestridge is a great way to spend a summer. You will not regret it. If you are even considering applying at camp just a little, please feel free to contact me, camp is my favorite thing to talk about!! Hello! 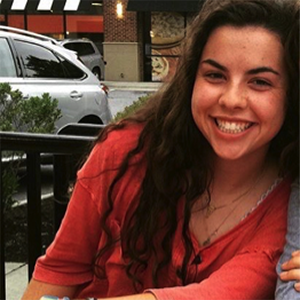 My name is Kaite Lower and I am sophomore at Samford University majoring in Journalism and Political Science. This past year was my 11th summer at camp and my 2nd summer on staff. I got to work 13 year olds and it was the absolute BEST. Not only was I able to adventure with kids and be in these beautiful blue mountains, each day I had the opportunity to point kids back to the greatest Truth. My favorite part of camp (by far) is the community. 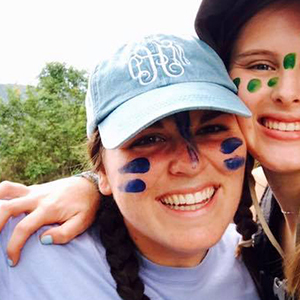 As a camper and staffer, you are blessed with people that will walk alongside you in every season of life. Giving a summer to share the Gospel at Crestridge is one hundred times over worth it. You learn so much about yourself, others, and God’s endless Grace and Love. Crestridge is a game changer. I’d talk to you about it anytime! Hi hi! 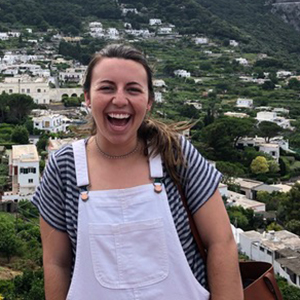 My name is Hannah Odom, and I am a junior at the University of South Carolina studying International Business and Global Supply Chain & Operations Management. I was a camper for three years, and I’ve been on staff for the past two summers. In 2015, I got to be a counselor for the coolest 14 year olds around (Choctaw Village) and absolutely loved it. This summer, I came back as the Outdoor Adventure Program Director, so it was really cool to experience another side of camp. Crestridge has taught me endless life skills and has brought me my closest friends. Almost every day, I found myself saying “What is my job?” because of the super cool, random, sweet, and completely ridiculous moments that camp is made of. This place is so special, and if you have any questions at all, please contact me! Hi friends! 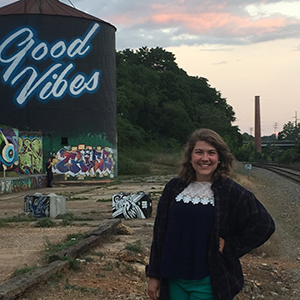 My name is Bella Cunningham and I'm a senior social work major here at UT! I have spent 8 summers at Camp Crestridge. Being a former camper, I can truly attest to the way The Lord moves in this place and the power of the ministry that they carry out. I have worked with the youngest girls and with the oldest girls as a counselor. Those two summers were some of the most humbling and gratifying experiences I've ever walked through. Every summer that I go back is better than the last and I know you won't regret trying it out! I'm always free to talk and answer any questions you may have about this amazing place! Please contact me and I would love to let you know more about camp and what it's like to be on staff! Hello hello!! 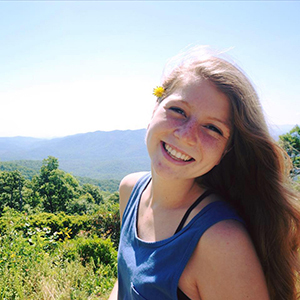 My name is Allie Ward and I am a freshman in the Architecture program at the University of Tennessee in Knoxville. I was a camper at Camp Crestridge for seven summers and returned as a JET in the Catawba village for my eighth summer at camp. Working with rising eighth grade girls was one of the greatest experiences and seriously the most fun “job” in the world. One of the greatest parts of this summer was simply hanging out and goofing off with each girl in my cabin. It is so awesome to get to know their lives, love on them and watch them get pumped about super crazy camp adventures that happen every single day. Crestridge has been a place full of so much joy, love and growth in my own life, and getting to be on staff and share those experiences with campers is better than I ever imagined. The way God uses each of the staff members to leave a lasting impact on each girl’s life is truly mind blowing, and being a part of it is such an incredible opportunity. God is truly working all kinds of miracles in those blue ridge mountains and in the hearts of many sweet girls.